Brandeis Summer Scifest, an Undergraduate Research Poster Session, will be held on Thu, Aug 2 2012. Undergraduate students from across the Division of Science, including summer visitors and Brandeis students, will present posters on their research. The poster session will run from 1-3 pm in the Shapiro Science Center atrium. Abstract submission for this event has now closed. Computational linguist Nianwen Xue has new funding from DARPA as part of a large project to enable machine translation from Chinese to English. Brandeis has a lot of energetic pre-meds, for whom research in science labs is a vital part of their education. Undergraduate science researchers were among the presenters at Brandeis’s 4th annual Experiential Learning Symposium. 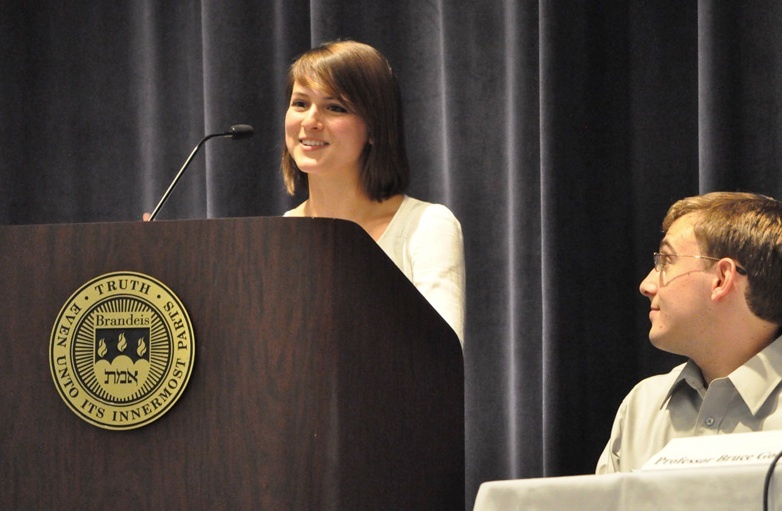 Jessica Pullen ’13 (below) from Bruce Goode’s lab served as a panelist. Pullen will continue her research in Goode lab in Summer 2012 as a participant in the NSF-funded REU Program in Cell and Molecular Visualization at Brandeis. It’s April, and planning is well underway for another exciting summer of research at Brandeis. In 2012 we have several new programs to provide financial support for undergraduates doing summer research; winners for several of those programs are announced below. The Pulse is the Brandeis Pre-Health Society’s journal, written by students about their experiences in science, research, health policy, health care, health policy, and other fields relating to medicine and science. Students collaborate on this publication by contributing articles from personal experiences and together edit and format the journal to be published and distributed around campus. The goal of The Pulse is to provide Brandeis pre-health and science undergraduates with the opportunity to write about and share experiences, be published in a university-wide distributed journal, and learn about opportunities that fellow undergraduates have had. The array of articles included in the journal vary from scientific research abstracts to reviews of internship programs to anthropological work in medicine. The diverse scope of topics and writing styles allows The Pulse to give readers a comprehensive insight into the interests, activities, and experiences of science and health undergraduate students at Brandeis. A past issue of The Pulse from Spring 2011 is available online. Feel free to use this link to browse through the issue and learn more about the publication. 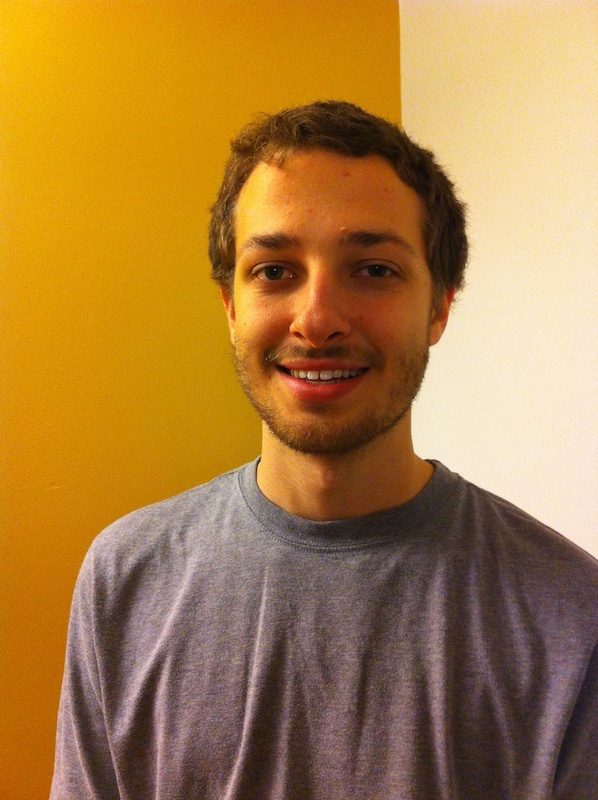 The Department of Chemistry is pleased to announce the availability of the Jordan-Dreyer Summer Research Fellowships for the Summer of 2012 to work in a lab in the Department of Chemistry. The fellowships provide a total of $3000 for a ten week period. It may be possible to supplement the stipend with research funds from other sources. A commitment from a Chemistry faculty member to serve as your mentor in Summer 2012 is required. The program will run from May 30 – Aug 3, 2012. Recipients are expected to be in residence during that period, and must commit to presenting a poster at the final poster session on Aug 2, 2012. The application deadline is 01 March 2012. Applications from declared chemistry majors will receive a strong preference. Please send either paper or electronic materials to Anna Battista, Undergraduate Senior Coordinator, Department of Chemistry, MS015, battista@brandeis.edu. Two letters of reference, one of which must be from the summer supervisor. Please contact Prof. Foxman (foxman1@brandeis.edu) for questions/further information. The Division of Science wishes to announce two new opportunities for Brandeis undergraduates seeking funding to support their undergraduate research in Summer 2012 and beyond. First, there are six available Traineeships for Undergraduates in Computational Neuroscience through a new grant from the National Institute on Drug Abuse. In addition, generous alumni donations have enabled us to offer up to ten Division of Science Summer Undergraduate Research Followships. These programs are in addition to the two NSF-funded REU programs sponsored by the Materials Research Science and Engineering Center and the Program in Cell and Molecular Visualization. While the REU programs are primarily aimed at students visiting for the summer from other institutions, the two new programs are aimed at current Brandeis undergraduates. The due date for applications to the new programs will be February 15, 2012. Students considering applying for the traineeships are strongly encouraged to sign up for NBIO 136b Computational Neuroscience in Spring 2012. Division of Science Summer Undergraduate Research Fellowships will provide $5000 in stipend support to allow students to do summer research. Students who will be rising Brandeis sophomores, juniors, and seniors in Summer 2012, and working in a lab in the Division of Science at the time of application, are eligible to apply. A commitment from a Brandeis faculty member to serve as your mentor in Summer 2012 is required. The Division of Science Summer Program will run from May 30 – Aug 3, 2012. Recipients are expected to be in residence during that period, and must commit to presenting a poster at the final poster session on Aug 2, 2012.